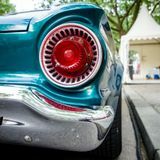 What makes a car a “classic” car which kindles passions? Its rarity is a factor but not as important as the fact that it embodies a certain era and carries a certain legacy. Sadly for them, and luckily for car collectors, some of them lay forgotten in barns like sleeping beauties, waiting to be discovered and brought back to life. 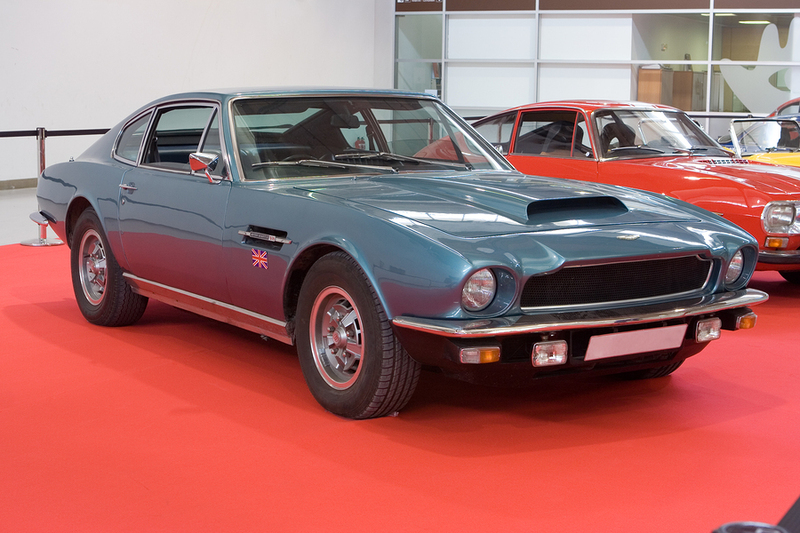 Such was the fate of a very rare Aston Martin DBS in the UK, little more than a collection of nuts, bolts and metal sheets when it was saved by Philip Glenister, a car enthusiast, and Ant Anstead, an internationally renowned car designer. Rescued from the scrapyard by a car lover who had had every intention to restore it, it was in the same sorry state as when it had been bought two years earlier. Ant Anstead immediately knew that he had found a treasure. 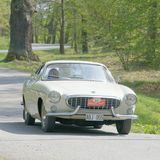 It was clearly a very special car, and coming across an Aston Martin that still needs restoring is a rare opportunity these days. Aston Martins are quintessentially British and a building block of British motoring history, with a somewhat eventful story. Founded in 1913, the company was clearly better at designing cars than it was at running a business. It specialised in making bespoke racing cars for its astronomically rich clients, but was so poor at managing finances that it had to be bailed out by its clients repeatedly. In 1947, it ran out of money for good, and, unbelievably, the company was put for sale in the classified section of The Times, like some second-hand piece of furniture! It was bought by an entrepreneur who had made its fortune selling tractors and who identified the potential of the make as an exclusive brand. And so it was. Prince Philip – Queen Elizabeth II’s husband – and Roger Moore are but a few of its most famous admirers and you had to be fabulously wealthy to be able to afford one of them. But the DBS has another claim to fame. Not only were there only 750 of them ever made, but the model was also a star of the silver screen. Actor Roger Moore as Lord Brett Sinclair in the 70es TV Series The Persuaders drove one, and Australian actor George Lazenby also had this privilege in On Her Majesty’s Secret Service, his only outing as super suave spy James Bond. When restoring a classic car, some of the most important aspects are originality and using authentic parts. In the case of a DBS, this introduces an additional challenge inherited from its history. The DBS’s predecessor was the DBR1, a racing Aston Martin which was entered in the legendary French Le Mans race in 1959. It was a beautifully sleek and aerodynamic car and it won first place. And second place. What was so special about them was that every single sheet of aluminium that made their bodies had been shaped around the chassis… by hand. Every Aston Martin DB since then has been hand-sculpted too, which means that ready-made replacement panels for the DBS don’t exist. They have to be made by hand. Once stripped of its paint, the body of our DBS revealed countless dents and scratches and other problems which had to be fixed as nothing less than a flawless car would sell. And thus it was, the aluminium outer skin was removed to be rebuilt again from scratch. Likewise, every part was bespoke to each car, which means that spares acquired to replace damaged ones had to be manipulated, modified and coaxed into fitting in this specific DBS. To restore a car to the highest standard, many decisions have to be made which will influence its final value. In the case of this DBS, even choosing the right colour is crucial. The choice was narrowed down to the colours which would have been on offer at the time the car was manufactured: Bahama Yellow, which was the colour of The Persuaders’s model – and the only car ever produced in this colour -, Fiesta Red, the Silver Birch of some of James Bond’s DBSs, or the rare olive green from Lazenby’s James Bond film which was what was ultimately selected. Choosing the leather for the interior was also a vital decision. Black was the safe option, being the colour of the upholstery in the original Bond’s car, but the car designer gambled on oxblood leather which would make it a unique piece – or deter everybody from buying it! But it isn’t only about looking stunning for a car whose origins are in the racing world. The engine has to walk the walk too. 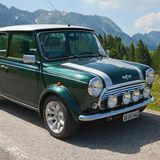 Once again, Aston Martin’s chaotic history reveals itself: although a V8 engine had been designed for the DBS, it wasn’t ready in time for its launch and Aston threw a smaller engine in. As could be expected, it couldn’t perform in the bigger car that was the DBS, and Aston later offered a “vantage” upgrade: a carburettor and a manual gearbox that turned a purr into a roar. Eventually, after 6,000 man hours to restore it to its former glory, the DBS was put for sale at auction at the NEC in Birmingham, UK. After a tense to and fro between potential buyers, it sold for a staggering NZ$350,000, breaking the world record for that model – the average sales price being around NZ$110,000, and the previous record NZ$192,000. Even if your classic car isn’t as unique as this DBS, you will want the same love and attention if you need international car shipping. McCullough are car transporters with over 2 decades of professional experience in vehicle shipping, so if you import cars to NZ, talk to us for a no-obligation quote and expert advice.